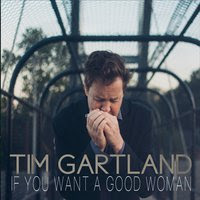 I just had the opportunity to review the most recent release, If You Want A Good Woman, from Tim Gartland and it's quite good! Opening with shuffle track, What The Blues Look Like, Tim Gartland establishes a solid foundation as lead singer and harp man with strong slide work from Tom Brett and nice backing vocals by Wendy Moten. Kevin McKendree adds cool keys and Steve Mackey on bass and Lynn William on drums fill out the band. Latin salted R&B track, I Had It All, has a smooth feel and a nice showcase for Gartland on vocal and harp as well as Brett on slide. Bluesy ballad, I Come When You Call, has a real nice pace with nice solos by Tom West, McKendree, and Gartland on harp. I really like the shimmery guitar work of Brett on this track giving it an iridescence. Funky instrumental, Eight Ball, is a really cool jam with lead harp on the melody, nice bass work under the track and cool solo lines by West, Brett and McKendree. Another track with a funky rhythm, If That's What You Call Love, is one of my favorites with cool vocals by Gartland and Moten and super slide work by Brett over the keys of West and McKendree and tight harp work by Gartland. Very nice! Too Many Groceries is a bouncy little track with warm backing vocals by Molten and really tasty slide guitar work by Brett over a tight bass line by Mackey. With a Willie Dixon approach, Willie That's Who is a real cool track. Mackey sets the pace with a solid bass line and McKendree and West set down nice keys. William's drum work on this one is the coolest on the release and again I really like the slide work of Brett. Wrapping the release is Go West, a two step NO flavored track with lead harp and a rock guitar rhythm. Lighting up the slide again, Brett really hits it fueling a nice close by Gartland. Really nice closer for a really nice release.